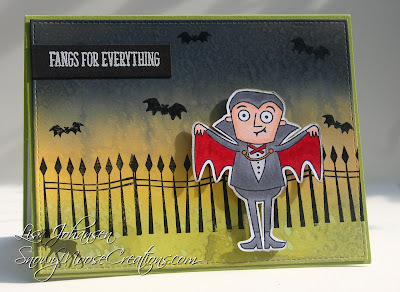 I was playing around with my distress oxide inks the other night and since I knew I wanted to make a Halloween card I tried to go for an outdoor spooky type of scene. I started with Black Soot at the top, then brought in Fossilized Amber and finished the bottom off with Peeled Paint. I was happy with the end product so I then stamped the fence across the front and then added the bats. 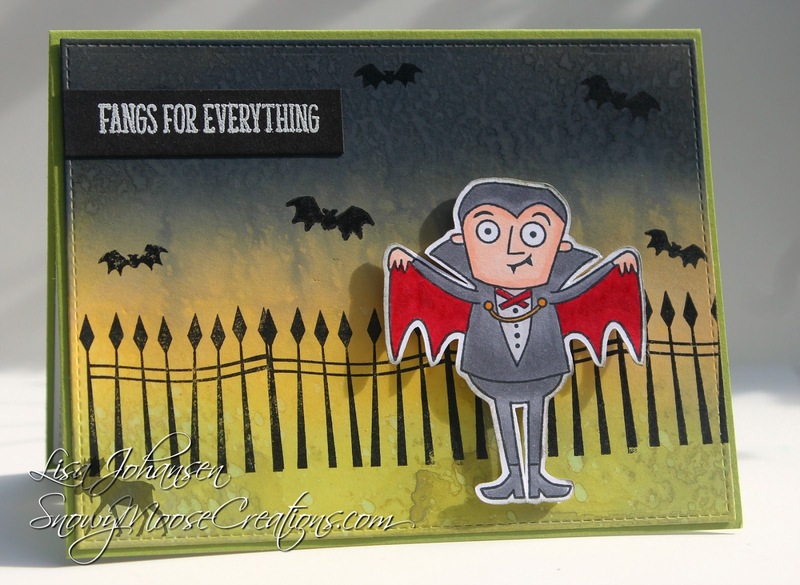 A nice and easy Halloween card!